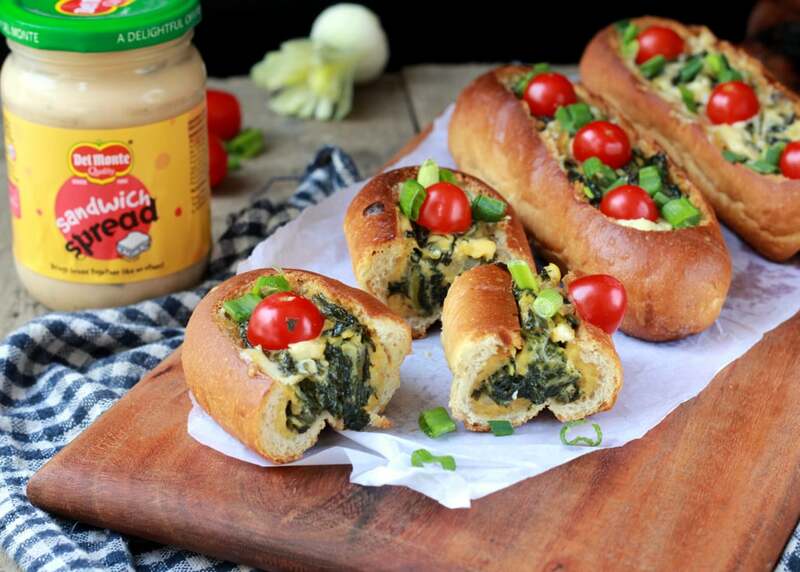 Bread boats filled with spinach, eggs & Del Monte Sandwich spread is a fun way to serve breakfast. 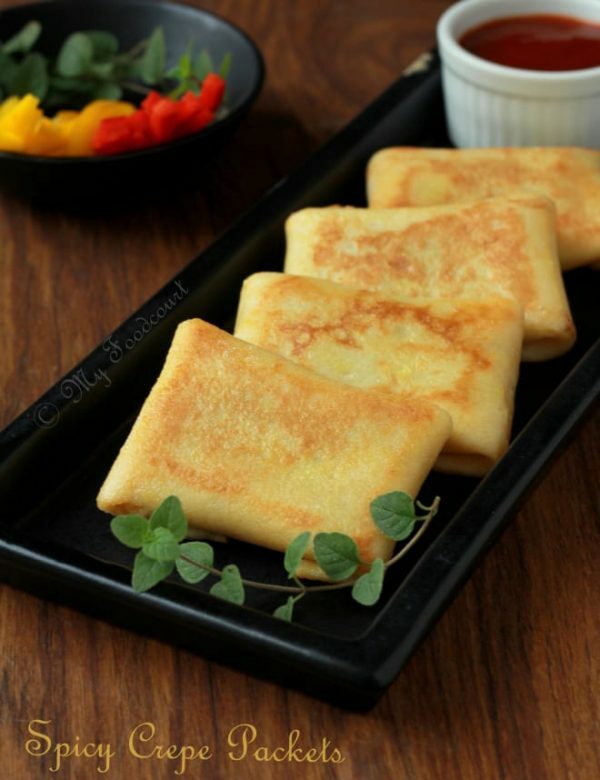 This stuffed bread makes for a perfect Sunday morning breakfast to share with friends and family or a handy on- the- go snack. 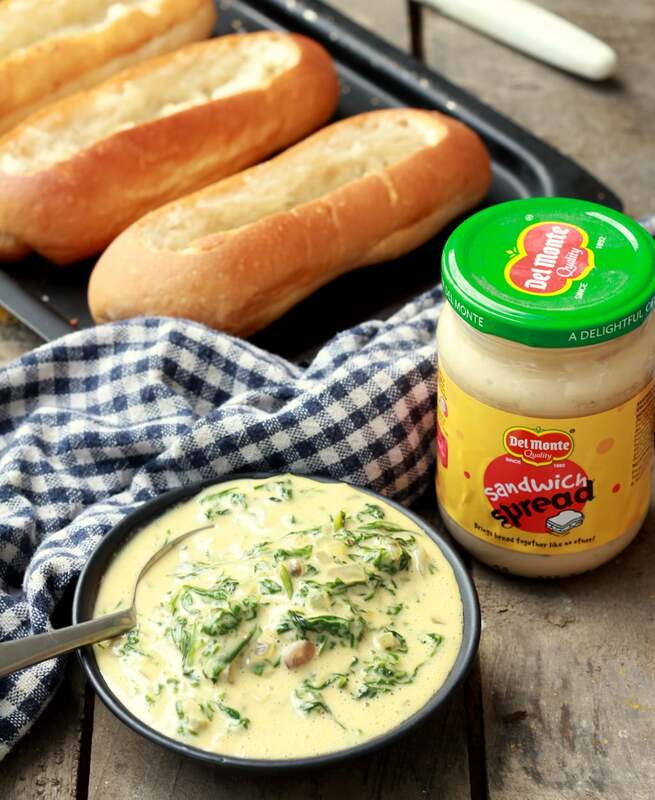 Hollowed bread logs are filled with a mixture of spinach, eggs and Del Monte sandwich spread and then baked to make this quick and easy dish. You can also add other vegetables like mushrooms to the filling. Bread boules work well too if you can find them. The creamy, tangy Del Monte Sandwich spread peps up the filling. This magical blend also comes in handy to create yummy sandwiches, burgers or rolls. 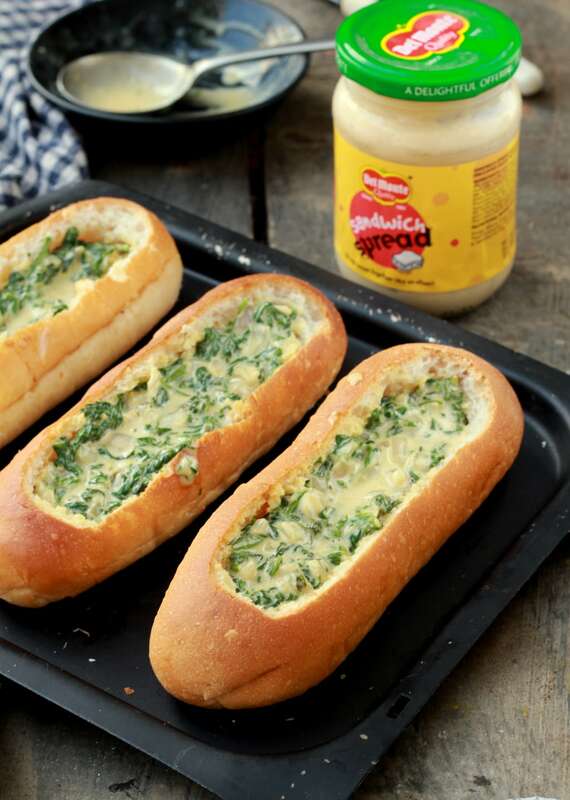 To begin making the Bread boats filled with spinach, eggs & Del Monte Sandwich spread first heat oil in a pan. Add garlic and onion and sautxe9 for a few seconds. Add the spinach, sprinkle salt and sautxe9 till it just wilts. Take it off the heat and cool. Add the whisked egg, Del Monte sandwich spread, pepper and sugar to the spinach mixture. Pre-heat the oven to 200 deg Celcius. Cut out an oval from the top of the bread. Scoop/pull out the bread in the center to create a cavity, leaving the sides intact. Brush the sides of the bread with butter, if using. Place the hollow bread boats on lightly greased or lined baking sheet. Garnish with sliced/halved cherry tomatoes and onion greens.